How Do I Create a Sales Forecast for My New Design Business? Many designers are businessmen/women in their own right. The freelance market for designers in all fields is huge and both new entrants to design and long-established pros often find that selling their products/services directly to a client is more appealing than working for someone else. One of the big things a new freelancer has to do, is to create a sales forecast. 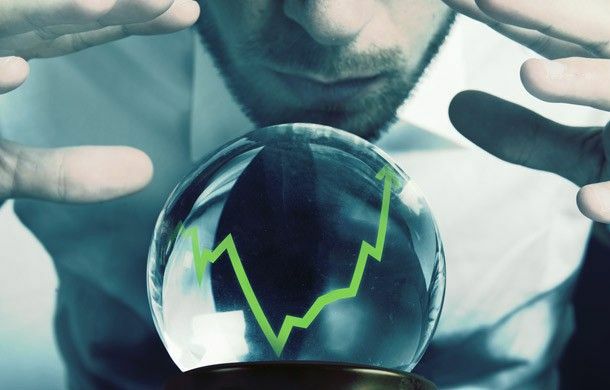 Sales forecasts allow the freelancer to examine how much business they expect to do and thus how much additional marketing/sales activity they might need to undertake if their forecast falls short of their financial needs. This is the classic sales forecasting model and one which can lead to a touch of confusion from a design freelancer. For these designers sales forecasting is then reasonably simple; how much will they charge for one of those sites? 1 x 4 Page Website = $500 (for the sake of example). Then the sales forecast is simply $500 x 5 expected sales a month; which is $2,500 a month. If you aren’t selling a product then you are selling time. That’s the classic services model for a designer and while you may not quote your clients in hours; that is how your project estimates will be figured out. So if you expect to sell 80 hours of your time a month at $50 an hour; then your sales forecast is also simple. 80 hours x $50 = $4,000 a month. How much paid time can you realistically put into your business? This governs the maximum amount of hours or products that you can sell. How competitive is the pricing of your product/service? This may well dictate how easily you can sell your product. How much will it cost to run your business? Running a business from home still costs money (electricity, gas, rates, etc.) and running one from an office costs more money. How much marketing will you do? Products don’t sell themselves. If you’re not selling your product, no-one else will be. You can make your forecasts more realistic by doing some homework (research). The better you understand your competition the more you will know if your forecasts are accurate. Are your competitors selling the same volumes as you expect to be? Are they pricing the same way as you? Are they earning what you expect to? You can adapt your forecasts based on tried and tested methods easily. If your competitors are limited companies; then finding out what they earn isn’t as tricky as you might think – they will have to file accounts at some point in time and these are normally of public record for limited companies. The more you know about how you will promote your work; the more you can get real about the money you will earn. If Fiverr is your main sales platform then $5 a sale seems likely. If you are cold calling Fortune 500 businesses… you may make far fewer sales but your rates are likely to be much, much higher. Assume that you will need to spend between 25% and 50% of your time marketing and selling. This is particularly going to be true until you have a large repeat customer base. You can adjust your forecasts based on the success of your activities in this area when you have some experience to base it on. The worst case scenario – what if you can only bring in 25% of the business you expect to? The realistic scenario – what do you genuinely expect your efforts to bring in in terms of new business? The best case scenario – what happens if you can sell 100% of your time? These questions will help you determine whether your pricing and sales models meet your short and long-term expectations. Very few freelancers make $1 million in their first year but most expect to make more than $2,000 by their 5th year in business too. The three forecasts make certain that your plans can deal with disappointment and that if you finally get what you want; that you also get what you want financially too.